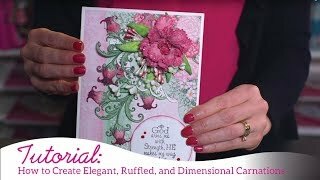 Creating elegant paper flowers can seem overwhelming, however with a few tips and techniques, you too can master the art of flower shaping quickly and with ease! 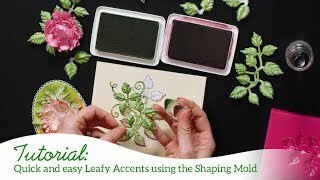 Follow along with Emma Lou as she shares her favorite methods for coloring, shaping, as well as adding beautiful stamen centers to the pretty wildflowers found in the Oakberry Lane Collection! 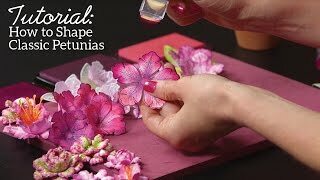 Learn how to use the 3D Blossoms Shaping Mold to add intricate detailing to all of your Oakberry Lane blossoms, how to mix and match petal pieces of varying sizes allowing you to create a variety of floral looks, as well as how to assemble stunning floral clusters to keep on hand for upcoming projects! 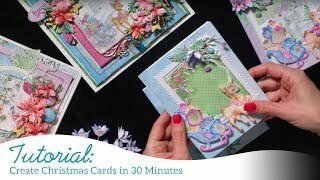 End your time together with a delightful tour through the Oakberry Lane Collection, and jump start your creativity with beautiful sample projects created by design team members!